Daniel Wohl is having a moment. Every once in a while zeitgeist, culture, skill and creativity come together like magic, resulting in something that possesses an almost tangible immediacy. 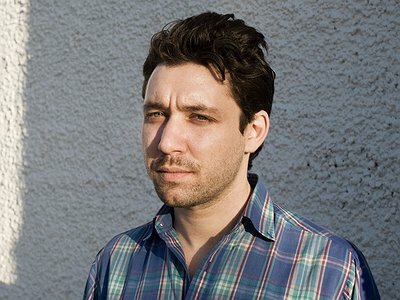 Brooklyn-based composer Daniel Wohl's first full length album Corps Exquis is a fine example of this rare intersection. Blending compositional flair with the harmonious combination of electro and acoustic instrumentation, Corps Exquis comes together with a collection of video art integral to the appreciation of this vivid, affecting collaborative project. Exploring percussive avenues, hybrid instrumentation and Wohl's compositional competence brings classical, experimental and electronic music into an accessible and enjoyable debut. Wohl's work has been performed by various symphony orchestras, quartets and ensembles in an impressive array of venues including Carnegie and Webster Halls. I started by improvising at the piano at a young age, maybe around 7. I would make up short pieces but didn’t actually start notating anything until I got to college. I did a lot of recording in middle school, using an Atari program call Notator. The first artist I ever loved was Kate Bush when I was about 5 – she had such a bewitching voice and was very popular in France when I was a kid. I would say the first time I heard an orchestra piece of mine being rehearsed was a defining moment. Just to hear something you wrote performed by that many people is an incredible rush. What I’m working on these days is finding ways to write for ensembles by integrating instruments and electronics into interlocking textures. I sometimes find that my pieces isolate these elements from one another and I’m trying to find ways to unify them and bring them together so that each has its role in a overlying structure. I usually start by thinking of textures and timbres, but these days I’ve been starting out by writing harmonic progressions. For me timbre is an incredibly important component. I can’t really compose without first finding an interesting timbre that drives the entire piece. I’ve been improvising for a long time and though I do it less frequently now, for me there would be no creative spark without it. It’s basically a playground for musical ideas. It allows you to explore them without the time commitment involved in composition. I don’t think it’s vital, but when it happens I think it can be very interesting from the listener’s perspective. I love hearing processes unfold in minimalism- it lends a kind of beautiful discipline to the music. In my own pieces, I frequently set up rules for myself as I’m composing. I’m not sure if the listener is necessarily able to hear what these rules are, but maybe it can be felt rather than understood. The live show for this album is accompanied by videos that were created by seven different video artists. Sound has always triggered images for me so it was a really great experience to collaborate with visual artists for this project. In future projects I actually would like to start creating visuals to go along with my pieces. It’s extremely important for me to work with the performer– especially during the initial creative process. It’s really most gratifying when creating a new piece involves collaborating in the early stages. The instrumentalist is an expert at their instrument so their expertise and experience are invaluable in helping find ways to make an idea come across more effectively– plus there are definitely some performers who make your music sound better than you could ever have expected. I can’t really compose without first finding an interesting timbre that drives the entire piece.